Ultimately, I suppose Dario Argento is to blame for what you’re about to read. On the ride back from Solvang — no, we were not making a butter cookie run — I was explaining to Spencer how I had two Netflix arrivals waiting for me, both of them Dario Argento movies. The first was The Third Mother, the long-awaited (by some) completion to the trilogy that also includes Suspiria and Inferno. 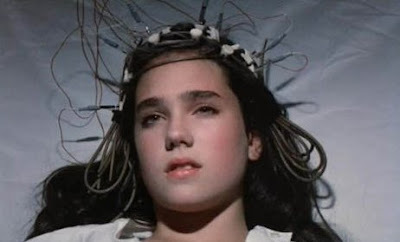 (If you care, I discussed The Third Mother in some depth in this post right here.) It’s relatively new. 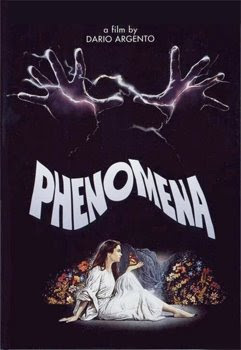 The other movie was the 1985 film Phenomena, which stars a pre-Labyrinth, 15-year-old Jennifer Connelly as an American girl attending a Swiss boarding school and, naturally, being pursued by a psychopathic murderer. After I mentioned Phenomena, Spencer asked me if I’d ever read a book titled something that sounds like “phenomena.” I suggested that maybe he was thinking of the John Travolta and Kyra Sedgwick movie and somehow confusing it for being a book, which it probably was, at some point, if only in the form of something that was shoddily adapted from the movie. Spencer swore that it wasn’t and that this book — Feemomeema or Fidonina or whatever — existed and had in fact been read by his friends for various classes. I hadn’t heard of it. Later today, he figured it out: The work in question was the 1724 novella Fantomina, authoress Eliza Haywood’s tale of a woman who, according to Wikipedia, “assumes the roles of a prostitute, a maid, a widow, and a lady in order to repeatedly seduce a man named Beauplaisir.” I couldn’t imagine why groups of people had to read such a thing, but having survived UCSB’s English major I’m not especially surprised. If you made it through the list, you’ll note that an unusual number of Haywood’s works feature double titles. I realize this was common in her day, but looking at just her books by themselves, I can’t help but wonder if she was incredibly indecisive. Would one not have sufficed? Really, who is the main character of the book: The Mercenary Lover? Or The Unfortunate Heiress? Could it not have been titled The Mercenary Lover and the Unfortunate Heiress? Personally, I think Haywood missed the boat by not going for maximum contrast with her title and either making the paired titles total non-sequiturs or complete contradictions. 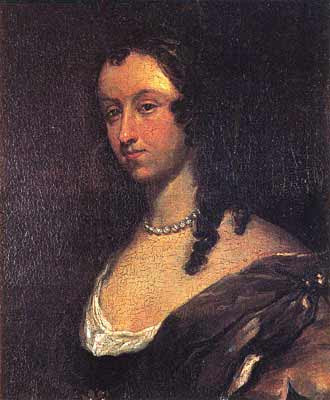 More than anything else, I’m amused by the fact that Haywood’s last listed work is The Invisible Spy, mostly because one of her contemporaries was Aphra Behn, whom I did have to read quite often in college and who would have bored me to death if not for the fact that she worked as a spy for a period during her life. Also, I’ve read enough of her literary compendium bios to know that Behn was not an attractive woman. Such a condition could make one quite conspicuous in some circumstances and rather invisible in others. I’d like to think that Haywood’s book was about Behn herself. And to think — all this as a result of some Italian guy’s movie about bugs. I could leave a comment or I could not leave a comment.